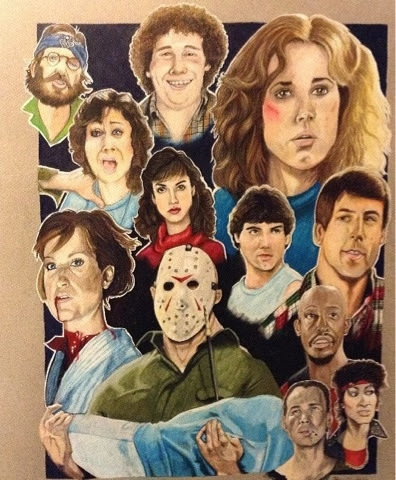 We enjoy celebrating new artwork and creations by fans of the Friday The 13th films as sometimes their pieces of art inspire our fandom, along with our readers. With that being said, we were made aware of the talents of artist Jeff Lassiter a few weeks ago as he was progressing through his first collage of the franchise, and we really liked his approach in design. 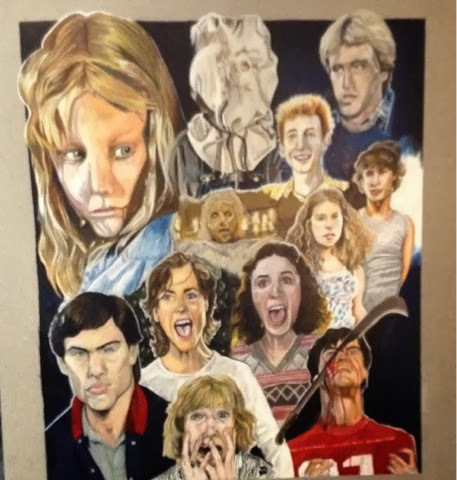 Below we have featured two of his recent completed collages, one representing Friday The 13th Part 2 and the other for Friday The 13th Part 3. It's great to see not only Jason Voorhees celebrated in these pieces, but the majority of main characters from those films as well. Since the earlier films are remembered for not only the creative deaths, but also the fun people thrown into the terrifying ordeals, these are fitting tributes to view. Let us know what you think of the images below and check out Jeff's Instagram account for more excellent drawings and illustrations!